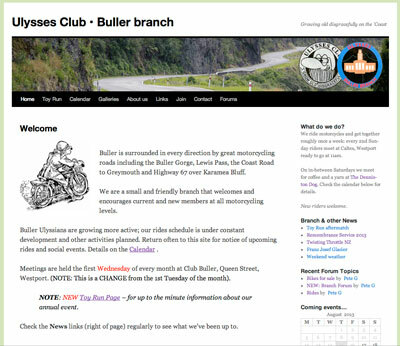 Buller Branch of Ulysses Club, N.Z. Inc. Hosted by the National Club, based on WordPress with local content and embedded Google components. Like all WordPress sites, changes can be made simply by logging in and editing as required.